It is important to nurture oneâ€™s creative spirit with good instruction, encouragement and... wine. This class ranks the highest in our books and while wine is not the only reason, we wonâ€™t lie and say that we didnâ€™t seriously appreciate this little twist. Other than the non stop flow of wine throughout the class, we liked how the instructor, Jacob, lead the class in an organized and friendly manner. He was able to adjust his insight and lessons depending on each studentâ€™s range of skill and experience. He went through the step-by-step process of creating a finished product so that we knew the timeline of the class and what to expect, and as we painted, he provided us with fun additions like glitter (you can never have too much glitter) when requested. 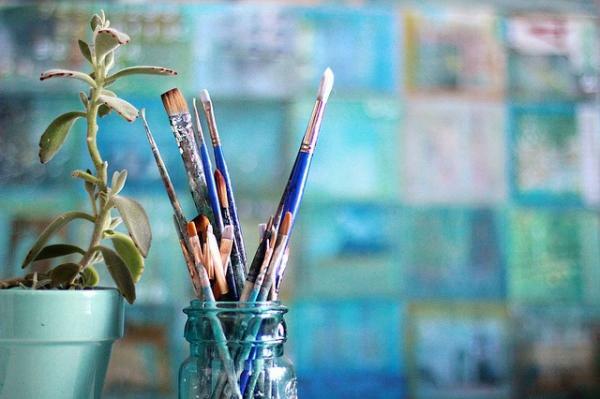 There is a realization that after this class which is that painting is not only a creative outlet, but between the wine sipping, pressing the paintbrush to the canvas, and completing a beautiful piece of art, painting is therapeutic and revitalizing. We all came away relaxed and with paintings we could proudly hang up on our walls. 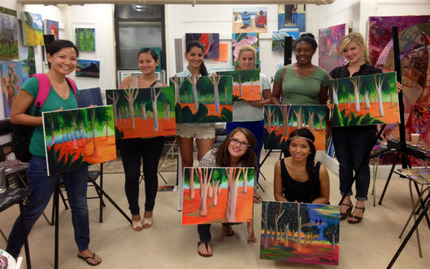 Without a doubt, plenty of the students were ready to move on to The Art Studio NYâ€™s more intensive classes--they were all fired up on creative energy--the wine might have had something to do with that though. We ranked this class this highest in the city because it provides students with the opportunity to truly explore whatâ€™s so addicting about art and tapping into your creative side. And they know exactly how to get people to relax and stop feeling so self-conscious, which is wine, as well as a really great instructor and class. But seriously, everyone knows wine feeds our passion and confidence. These guys know whatâ€™s up. 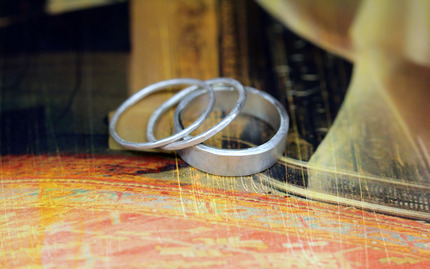 Our second top pick goes to Liloveveâ€™s sterling rings class. The workspace for classes is under Carolineâ€™s store so before heading to class, you can admire and be inspired by some of her intricate and beautifully-designed jewelry pieces. In this class we worked on two sterling silver rings to bring home. Our instructor was very patient, experienced and open to as many questions as we had. We were really happy with how organized and instructive the workshop was since most of us had zero experience in making jewelry. It also helps that all the materials were ready for us and we didnâ€™t have to buy/bring anything extra--which many classes out there require, actually. Not surprisingly, this kind of workshop was really fun since we were learning how to stylize rings exactly how we wanted. Our instructor showed us, for example, how the professionals created those hammered out designs on rings to give a little more texture and which was exactly what a lot of people love about simple bands. To help us through all the steps of jewelry making as well as ensure safety precautions, our instructor gave everyone individual instruction and guidance throughout the four-hour workshop--what a champ! With a jewelry-making class, itâ€™s a little trickier than one realizes; while some think the steps might be simple, when making a ring, you really donâ€™t want to mess up, so this smaller sized class and intimate attention from the instructor insured that we were all satisfied with the final products. After taking this workshop, itâ€™s clear that Liloveve runs a well-organized and productive class that will leave you very happy and excited to try more crafty classes--not to mention two new pieces of jewelry. If youâ€™re looking for a workshop that is a little out of the ordinary, where youâ€™ll learn something completely new and really interesting, AND be able to show off a unique and personalized product to your friends and family, gorgeous stationery is definitely the way to go. In our search for our favorite hands-on, creative and crafty classes, we came across Intima Pressâ€™ Intro to Letterpress. Honestly, this had never occurred to us since Paper Source and Papyrus does a fine job providing fun birthday and Iâ€™m-sorry-I-forgot-your-birthday cards (hey, there are a lot of people who hide their birthdays on Facebook). Once we tried the workshop with Mindy, we knew this had to get on our top list. First off, Mindy is phenomenal. She is passionate about letterpress and has a wealth of information that she is excited to share with everyone. Her open smile and readiness to teach brings a warmth and friendly atmosphere to the workshop so that everyone is relaxed and ready to make some pretty stationery. 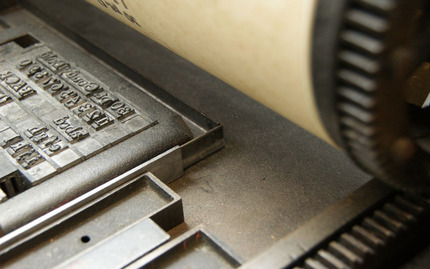 The letterpress itself is not as difficult as you would think in terms of operating it, and you can choose from various different fonts. Some people wanted to make invitations and others thank you letters, it was fun hearing everyoneâ€™s small snippet of life that had brought him or her to this class. Mindyâ€™s genuine passion for letterpress and interest in all of our goals in coming to this workshop was also a great source of easy discussion and sharing. If you are at all inclined to pretty stationery and creating something unique, honestly, we recommend Mindyâ€™s Into to Letterpress.